Dr. med. Inge Haselsteiner is a medical specialist for anesthesiology, general practice, and health economics. She completed her medical studies in Innsbruck. She deepened her medical knowledge during her residency in Vienna and at the Frankfurt University Clinic. In addition, she received a postgraduate degree from the European Business School in Wiesbaden in health economics. Following her academic activities, she was a partner at the Anesthesiology Outpatient Clinic München-Nörd for a period of 10 years. Dr. med. Haselsteiner is our expert for Integrative Medicine, which combines conventional medicine with knowledge taken from the field of alternative medicine. 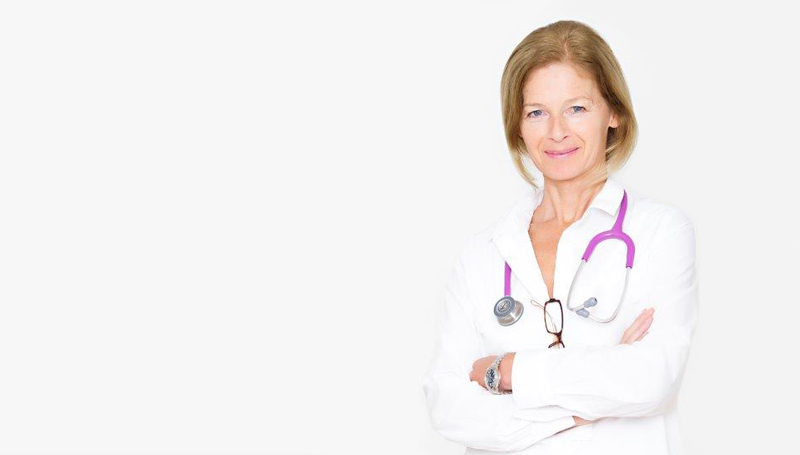 Her goal is to create an individual, tailor-made therapy for each patient which combines state-of-the-art scientific medical procedures with traditional naturopathic methods. This approach can lead to an optimization of the recovery process; in addition it can be used as a preventative approach, for example through strengthening the body’s own immune system.